No bye, no aloha, indeed: The Breeders are back with a new album. And for the first time since Last Splash, the record will feature the lineup of Kim and Kelley Deal, bassist Josephine Wiggs, and drummer Jim McPherson. 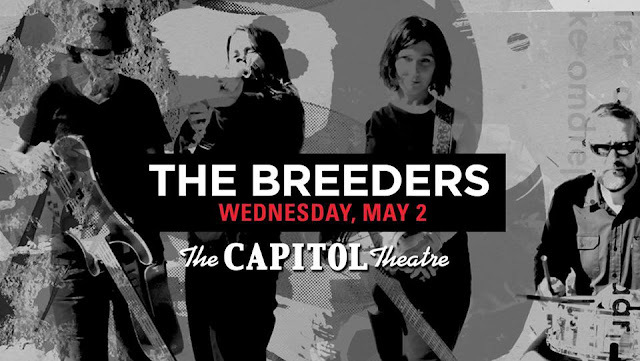 Those who managed to see the 2013 tour supporting the 20th anniversary edition of Last Splash (also known as LSXX) were the first to see this reunited lineup in action, and while it will also be The Breeders’ first album since 2008's Mountain Battles (not to discount the weird 2009 EP Fate To Fatal—well, maybe discount it a little), this will be the first music recorded with the same foursome who laid down “Saints” and “Divine Hammer” more than 20 years ago. All Nerve is set to be released on March 2, featuring 11 tracks recorded over the past couple of years, including with Steve Albini in Chicago and Mike Montgomery and Tom Rastikis in Dayton, Ohio. Along with the new record (about which you can find out more information on the 4AD website), the band will be going on tour in spring and summer throughout North America and Europe. The list of dates is below, and tickets go on sale this Friday, January 12.